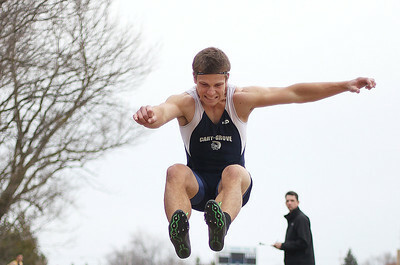 Sarah Nader - snader@shawmedia.com Cary-Grove's Marcus Thimios competes in triple jump during Saturday's Al Bohrer Invitational Track Meet At Cary High School on April 6, 2013. 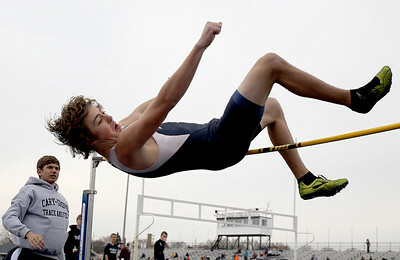 Sarah Nader - snader@shawmedia.com Cary-Grove's Jake Stiller competes in high jump during Saturday's Al Bohrer Invitational Track Meet At Cary High School on April 6, 2013. 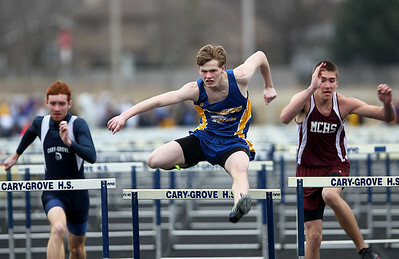 Sarah Nader - snader@shawmedia.com Cary-Grove's Michael Saxon (left), Johnsburg's Sam Blankenship and Marengo's Nick Simons compete in 110 high hurdles during Saturday's Al Bohrer Invitational Track Meet At Cary High School on April 6, 2013. 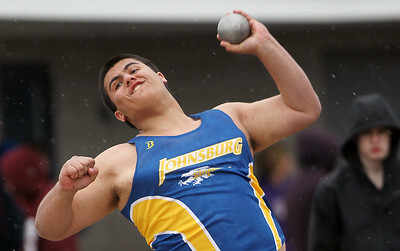 Sarah Nader - snader@shawmedia.com Johnsburg's Zach Kinney competes in shot put during Saturday's Al Bohrer Invitational Track Meet At Cary High School on April 6, 2013. 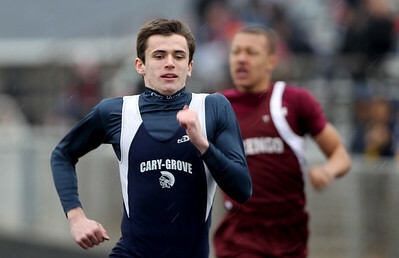 Sarah Nader - snader@shawmedia.com Cary Grove's Michael Gleeson competes in the 100 meter race during Saturday's Al Bohrer Invitational Track Meet At Cary High School on April 6, 2013. 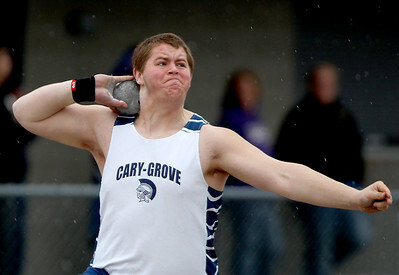 Sarah Nader - snader@shawmedia.com Cary-Grove's Ricky Hurley competes in shot put during Saturday's Al Bohrer Invitational Track Meet At Cary High School on April 6, 2013.